Join Dr Marge Chandler for three 2-hour sessions. Includes 12 months access to all of your course materials. Watch the live events or the recordings on your iPad! With new tests available, we are now able to diagnose chronic kidney disease (CKD) earlier and this means making nutritional decisions earlier. Feeding a diet formulated for renal disease increases survival time and improves quality of life, but when should we start and what should we feed? This lecture will discuss the key nutritional features of a renal diet and the evidence for their use. Dietary protein restriction is often a concern for practioners; the current evidence about protein in CKD will be presented. The key nutrient phosphorus will also be discussed along with other critical nutritional factors. 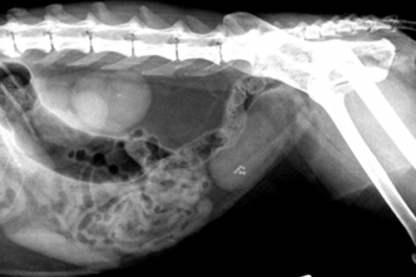 Pets with CKD often have poor appetites and can be difficult to transition to a diet for renal disease and the ways to approach this will be discussed. The nutritional approach to the patient should be individualized based on that patient’s history, clinical status, IRIS stage, nutritional assessment, and the desires of the owner. Can’t pee? Dietary management of urolithiasis – when and how can it help? 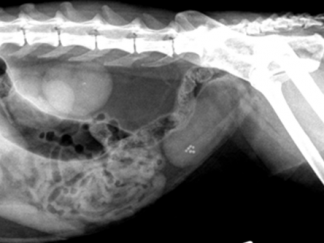 Struvite stones in dogs are usually associated with a urinary infection and can be dissolved with appropriate dietary and therapeutic management, whereas struvite stones in cats are more likely to be present in sterile urine and can be dissolved and controlled with appropriate dietary management. 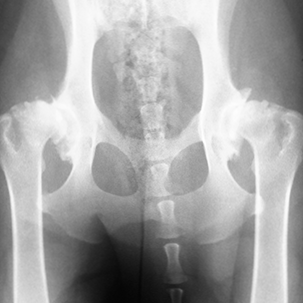 Calcium oxalate stones be difficult to control; surgery is often necessary for removal, although dietary management can help decrease the risk of reoccurrence. The next most common of these stones in dogs are the urate or biurate stones found in Dalmatian dogs and dogs with portosystemic shunts or end stage liver disease. These are less commonly found in cats although can be found in association with liver disorders. 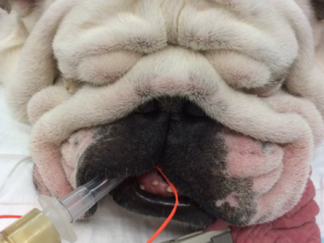 Dietary management can help decrease the risk of recurrence of urate uroliths in dogs at risk. The stressed peeing cat – how do we treat feline LUTD? Feline lower urinary tract disorder (FLUTD) is an important clinical problem in cats and has been rated a top feline health concern by cat owners. Feline LUTS involves a single sign or combination of dysuria, hematuria, pollakiuria, stranguria and periuria. The top two most common causes of FLUTD are feline idiopathic cystitis (FIC) and urolithiasis in cats younger than approximately 10 years of age, while in cats older than 10 years of age, bacterial urinary tract infections and urolithiasis are most common. For cats with FIC, decreasing stress, environmental enrichments, increased water intake (moist foods), and stress and anxiety modification with nutrients and dietary ingredients have been shown to decrease the frequency of signs. *No traffic jams, accommodation hassles, pet or childcare, rota clashes, locum fees ……….. just great CPD and a valuable ongoing resource.